This part of making the bio-sand filter is a labourious task, but must be done correctly to ensure good quality water at the end of the day. As I mentioned on the last post, we used crushed rock from a quarry (they called it blue rock). The quarry was very kind and allowed me to sit and sieve the stone to the correct sizes and only pay for what I needed. In total I think it took me 8 hours, sore back and a little frazzled by the sun. My sifting setup at the quarry. For the bottom of the sand filter where your outlet pipe is going to be fitted, you need stone that measures between 9mm-6mm in size. You should sieve enough to cover the outlet grid by 3 to 5cm. 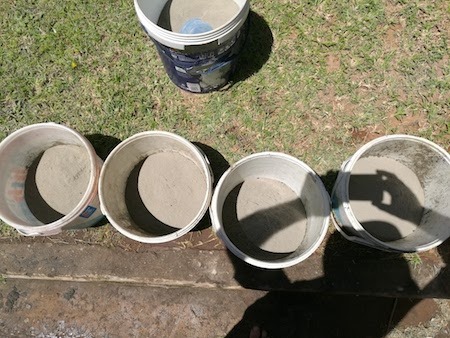 I did not measure, but as far as I can remember it was 2x 20l plastic buckets full of stone. 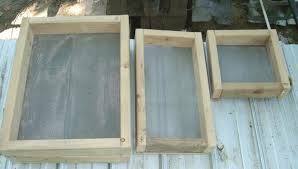 Use a sieve that will allow 9mm stone to pass through, the stone too big will be discarded. Then sieve the stone through a sieve that will allow 6mm stone through. What is caught above the sieve is kept for this drainage layer. The next size down in the stone are the 6mm-1mm sizes, you need enough to fill the drum by 10cm – at a guess it would be 2 full 20l buckets as well. Use a sieve small enough to allow 1mm stone to pass through, the bigger particles left on the top will be used for this layer. 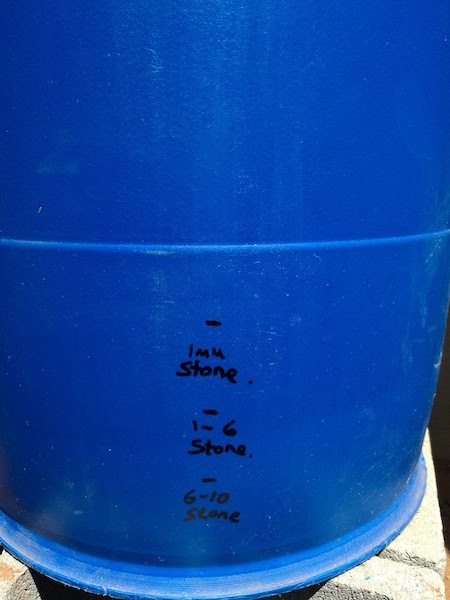 The next size down is the 1mm to 0.7mm stone/sand, again enough to fill up 10cm in the drum. 2x20l buckets. Use sieve to allow 0.7mm through, the bigger particles will be used for this layer. 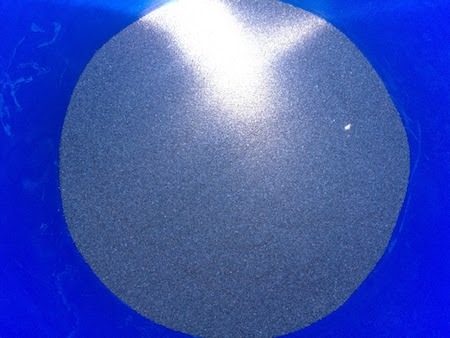 The smaller grains of sand will be used for the filter sand as below. Then comes the smaller than 0.7mm sand, which is used for the actual sand filtering. 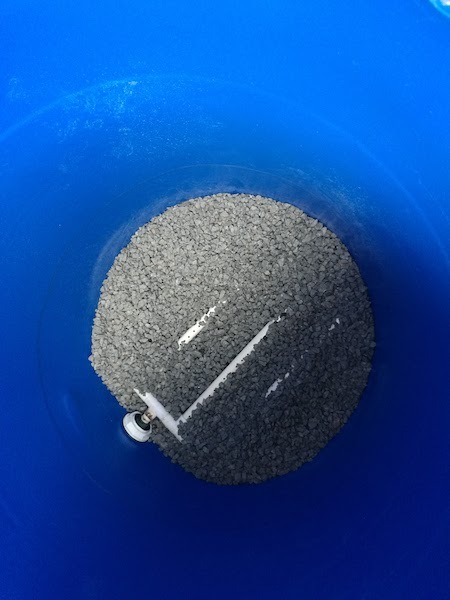 The above stone sizes basically stop the sand from passing through the outlet pipes at the bottom of the filter. 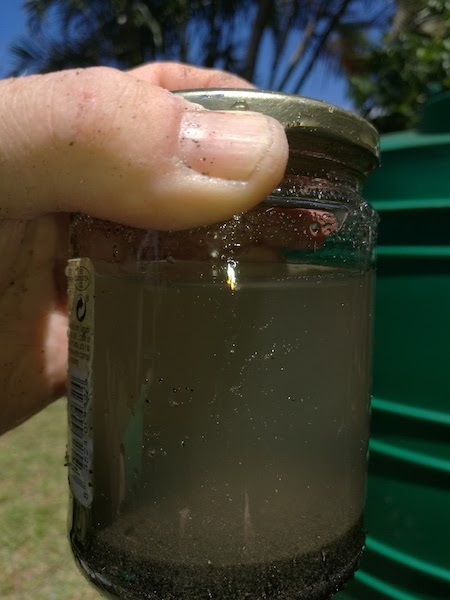 The amount you need here will be the balance of the drum up to 5cm below the water level – you want to always have water above the top of the sand to preserve the micro-organisms that clean the water – this top layer of sand is known as the schmutzedecke or bio layer. Estimated 6 to 8x 20l buckets of sand will be needed. 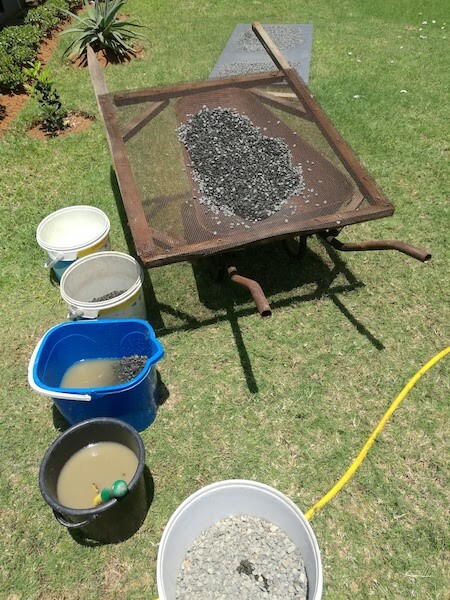 For the stones – 9mm to 6mm and 6mm to 1mm you need to wash the stones so that when you pour the water out of the container you are using to wash the stone, it runs clear. This check is easy. Make sure you don’t have too much in each batch, and then pour water double the amount of the stone and swirl it around. You can use your hands, but maybe a clean spade would be better. If you are not sure of the cleanliness of the stone, after washing put it out flat in the sun to dry and sterilise for a day or two. Not as easy for the sand, you need to wash it but not as well as the stone where the water runs clear. To test the sand, take a small hand full of sand and put it into a clear container, put more than double the amount of water in the container and shake it up, then stop and let the sand settle – leave it for 4 seconds and you should be able to make out the surface of the sand – note that the water will not be clear – if it is you have over-washed the sand and the sand will not filter properly. Checking the filter sand so that after 4 seconds you can see the surface of the sand. 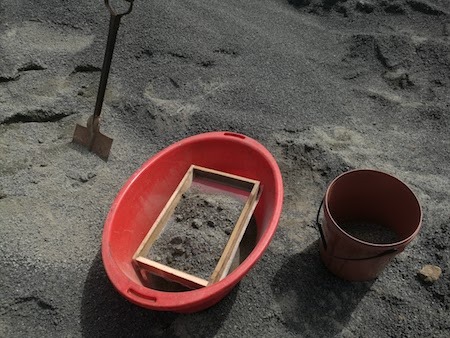 If you are not sure that the sand is sterile, leave it in the sun to dry for two days. Next we will look at the construction of the filter drum.